Put safety first with our Reflector Key Lights With Safety Whistles and your custom logo! 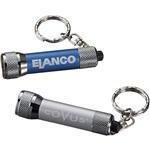 Feature an extra bright white LED light and a swivel whistle to use! Attach the split ring keychain to your keys, backpacks, and bags. Push button to turn on the keylights when on the move. 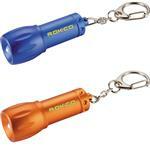 Offered in many bright colors to display your school or company logo. 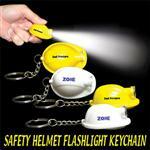 Also, a great safety promotional item. Available Imprint Options: Screen, Multicolor imprint available- add $.25 each per color/location per piece- 2 color maximum.